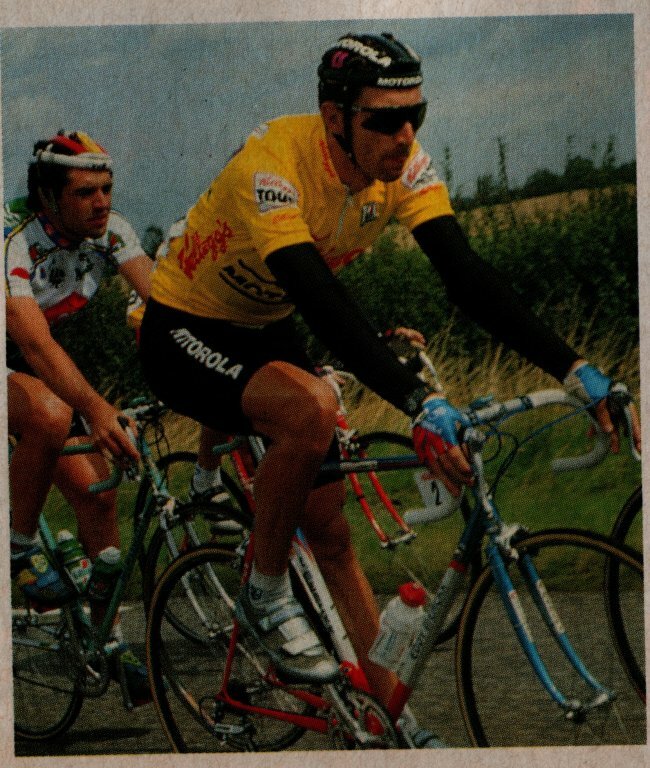 I've been combing through various magazines and books, scanning pics of Motorola team riders, to try to lend a hand to Randy Dugan, who owns Michel Dernies former team frame. He's built it up with an eye towards accuracy for how it was likely to be equipped in the 1993 racing year. Extremely cool bike, and the source of extreme envy on my part. I haven't found any Dernies pics yet, but I've found a few cool pics that I thought some of you might be interested to see. Here's one. Max Sciandri on his way to winning the Kellogg's Tour of Britain in late 1992. Pretty sure he's riding an early MX Leader, based on the fork crown, size of tubes, etc. i'm about to buy one of these in corsa extra version.